Congratulations to Jennifer Payton (May ’96) for being named SON Alumnus of the Year. She has devoted the past 20 years caring for patients with kidney disease and has served her patients through numerous roles as a hemodialysis nurse, nurse educator, nephrology clinical specialist, home dialysis coordinator. She is currently center director of NxState Kidney Care in Charleston. 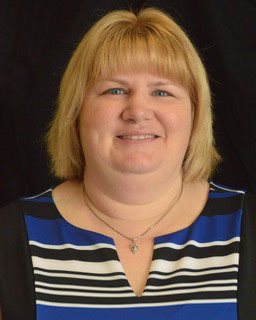 As a certified nephrology nurse and active member in the American Nephrology Nurses Association (ANNA) for the past 17 years, Payton serves as the National Secretary of the ANNA. She has had numerous articles published in Nephrology Nursing Journal and Contemporary Nephrology Nursing and authored Home Dialysis Toolkit for the ESRD Networks organization. Payton volunteers her time within the community to assist with health fairs, screening for KEEP (Kidney Early Evaluation Program) screenings, raising money for the National Kidney Foundation (NKF) and speaking to local church groups on means to prevent kidney disease. As a frequent speaker for ANNA, the National Renal Administrators Association (NRA) and various ESRD Network programs, Payton has spoken on topics of anemia, hyperphosphatemia, effective nursing communication and management, conflict resolution, and transitions in care. Payton received her MS in Health Care Administration from Bellevue University in ’03. She is currently a DNP candidate.